Immaculate 3bed 2 bath home conveniently located! 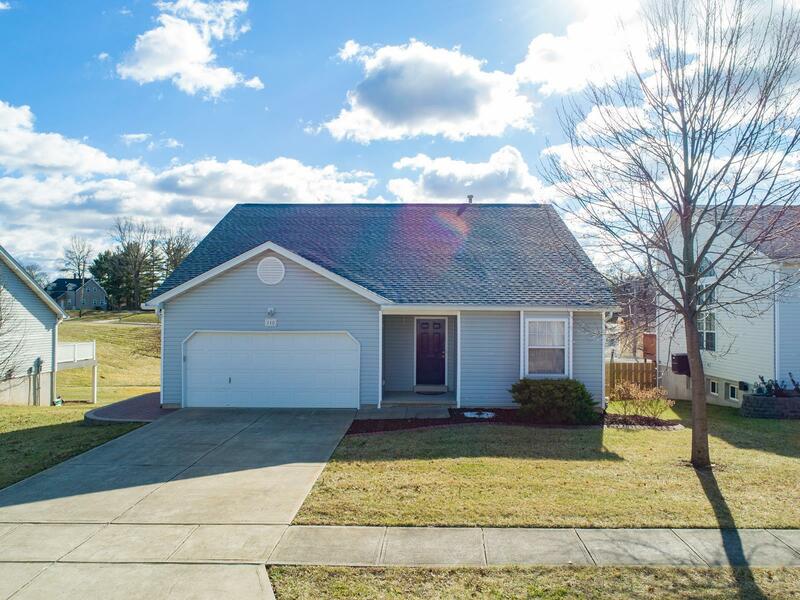 You will fall in love with this home when you enter the front door and notice the beautiful new laminate floors stretching from the foyer to the full bath, living room, breakfast room, kitchen and mud room. New pella door leads out to the massive 24x14 NEW maintenance free deck overlooking the backyard and common area. In the kitchen you will find loads of cabinets with ample amount of counter space and full compliment of appliances will stay. Cozy master suite features a nice walk in closet, oversized vanity, soaking tub and large walk in shower. 2 additional bedrooms also have nice sized closets. Unfinished lower level has a rough in for a bathroom and 9 ft pour for added ceiling height when you want to create additional living space as well as a walkout to another great outdoor space, the EXTRA large patio. Front landscaping has also been replanted and ready for the spring bloom. Don't forget, this home has been freshly painted.